A stunning picture book version of Roald Dahl’s hilarious classic, filled with full-size plates of Quentin Blake’s mouthwatering artwork. 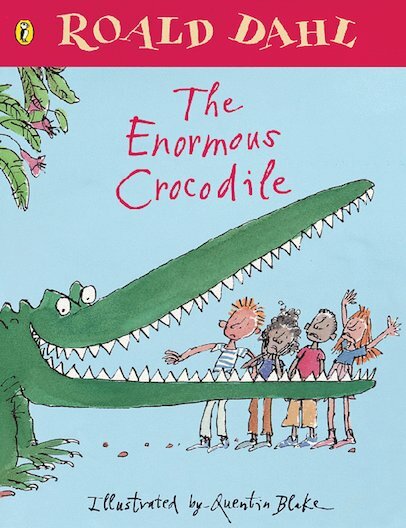 The Enormous Crocodile is a greedy, grumptious brute who dreams of guzzling up juicy little boys and girls. He’s a terrible boaster and very proud of his cunning plans and clever tricks, like disguising himself as a seesaw for careless little children to sit on. Crunch! But the other jungle animals have had enough of this foul fiend’s horrid schemes – so they devise a plan to get rid of him, once and for all! Blending tongue-in-cheek humour with a moral message, this classic favourite is Roald Dahl at his very funniest and finest!